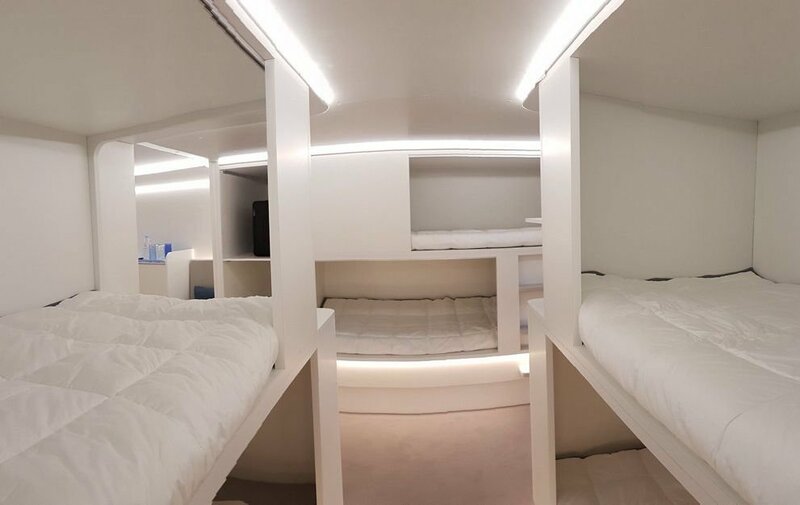 Aviation consortium Airbus elaborated system of passengers’ accommodation in baggage sections that is planned to be installed on the airplanes in two years. As the base engineers took on-board modules where crew team takes rest during long-haul flights. Elaboration was done together with French company Safran. First airplane where passengers will be accommodated in baggage section will be Airbus A330 also such seats will receive airplanes Airbus A350. The length of one module for baggage section will be 2,4 meters, wideness – 4 meters and the height – 1,55 meters. As Bloomberg writes new sections will be able to be installed both on the plant during airplane’s production and during upgrade of already existing airplanes. Does it mean that in the future airline companies will start selling seats to passengers in baggage sections? Maybe, but as of yet European consortium plans to accommodate boardrooms there, rooms for children and sleeping accommodations. Only in A330 (200F) model may be accommodated up to 12 such modules. There also can be located bar, gym and… yes, passenger module with arm-chairs. In theory airline companies will be able to sell seats there (most likely of super economy class) that will have much lower price than common passenger seats on “the upper deck”. It is not first work over the modules in Airbus. Earlier company announced elaboration of the modules for transforming all-cargo aircraft into passenger quickly. At the end of the previous years Airbus intended to produce airplanes made on the base of synthetic spider. Fibers of artificial spider make the structure of the material forming “plaited” internal structure. Production process consists in bacterial fermentation with special microorganisms. Only special nutritional medium and conditions are needed for this.